We’d love your help. 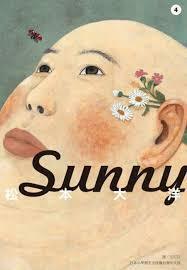 Let us know what’s wrong with this preview of Sunny 4 by Taiyo Matsumoto. To ask other readers questions about Sunny 4, please sign up. To reiterate, I highly recommend this series. It is full of heart and wonderful colorful characters each with their story to tell. This volume in particular had me close to tears actually during a certain part. It can be so heartbreaking but funny and joyful and hopeful. I never want this series to end! Ancora Haruo, che riceve la visita del (particolarissimo) padre, per un episodio davvero intenso. Ma c'è anche Asako, la sorella di Kenji, Sei e la sua storia d'amore per una ragazza simile a lui, il terribile "in and out" di Kiiko e una parentesi incentrata su Taro. Ancora bello, ancora poetico e intensissimo. Sunny è sempre più convincente. I think what struck me most about this volume is how much the characters are growing up. Looking back it does seem like something that has sort of always been there in some what, but I do feel like that was more of a focus in this volume. The strength of the tragedy in Sunny is just how small each cut is, but just how deep they go. There is no playing things up in this series, almost no one actually ever even admits to being hurt. But family, love and community are things that can be understood I think what struck me most about this volume is how much the characters are growing up. Looking back it does seem like something that has sort of always been there in some what, but I do feel like that was more of a focus in this volume. This about sums up the ride I've been on with this brilliant work from Matsumoto. I feel that we've come so far in volume 4, and yet, we haven't gone far enough, my questions that have begun, haven't been answered and I'm going to die from anticipation if I just keep bawling volume after volume. We are focused on an array of characters who continually receive the spotlight in characterization as we start getting more glimpses into the Star home. I am anxiously awaiting this next volume...and the volume after that. Another excellent installment of Matsumoto's series. The stories continue to be insightful, melancholic, and joyful at the same time. In particular, Matsumoto's themes of compassion and empathy stand out in this collection, emotions that are the life blood of the Star Kids home. I can't think of another series like this in comics, or in contemporary literature as well. Highest recommendation, as always. Illustrations are beautiful as always. Amazing detail. Heartbreaking stories, especially Harao. Culturally it seems baffling to me that parents who seem capable can just leave their kids in a home. This part isn't explained as well and it makes it somewhat frustrating to understand. The author captures the children's feelings perfectly. Oh Taro! You beautiful, wonderful, sweet, kind giant of a shoulda been a sumo man. These keep getting better and better. This set of graphic novels is a must read. When he holds the babies over the Koi pond? Swoon. This comic was discussed on Secret Stacks Episode 4. Even more wonderful than the three volumes that preceded it. I don't think there's anything in the world quite like Sunny. Matsumoto's work is introspective, evocative, and brilliant. The _Sunny_ series is perhaps the most mature and beautiful work in his oeuvre. More great stuff here. The tone and pacing of these is so gentle and calm, the setting is evoked so vividly, and they're really beautiful both to read and as objects.